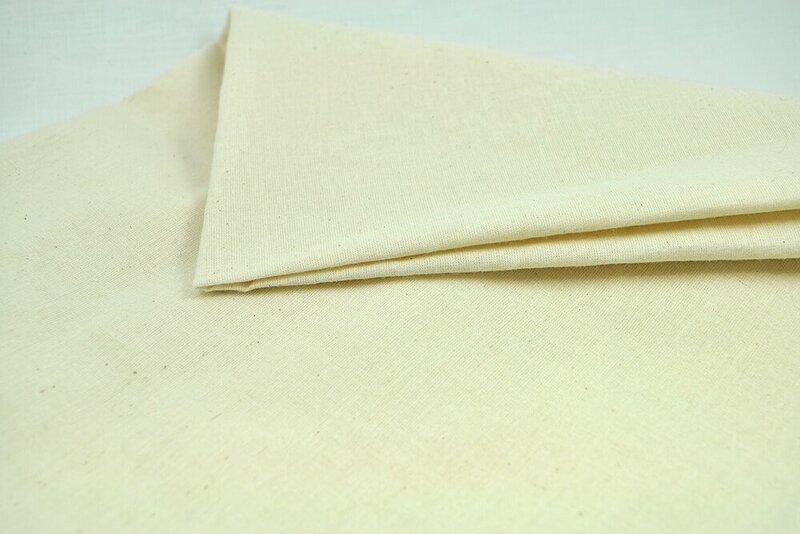 Muslin fabric is a versatile and inexpensive plain weave cotton cloth. It has many practical uses, like bandage wraps and culinary purposes. You can also use it for some décor (theater and photography sets) and apparel projects. While muslin isn’t used often for the actual pieces of clothing, it’s quite popular for making garment mock-ups. Click here to learn more about muslin fabric. Muslin is inexpensive and not very durable. This is why it’s not great for actual clothing, but it’s also the reason that it’s perfect for mock-ups. As a matter of fact, making a garment mock up out of muslin is often referred to as “making a muslin”. Essentially you just need to cut the pattern and sew with muslin instead of whatever fabric you’d normally use, but you don’t need to be a perfectionist while making a muslin since it’s not going to be a finished product. You don’t need perfect finished seams, and you don’t need to fully connect all the pieces. 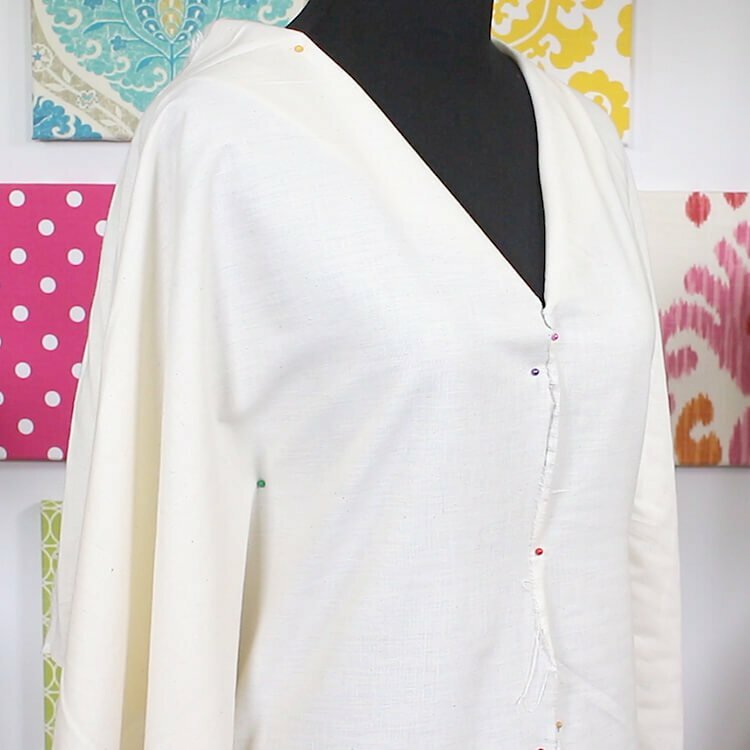 There are numerous reasons to make a mock-up with muslin before jumping right into your clothing project. Most importantly, you can test to see how it fits. You can try on the muslin and make alterations to the seams and the size while wearing it, then transfer the changes to a new pattern after taking the mock up apart. Maybe you want to go a little off pattern anyway. Make a muslin using the pattern, then adjust as necessary to make something truly personalized. You may also want to test more difficult patterns and sewing techniques, depending on how ambitious your project is. This way if you don’t quite get it right the first time, you can see what you did wrong and get it right when it counts. Some pieces may require closures like buttons or zippers. Making a muslin mock up will help you find the right placement. We went to a Reenactors Fair recently and saw some ambitious dresses that were made after first using muslin test mock-ups. One thing to consider is that the fabric used for the mock up should be fairly similar to the fabric you want to use for the final product. Muslin is pretty versatile and drapes similarly to many fabrics. However, you won’t want to use it to test something stiffer or heavier. For example, if you’re making a mock up for a corset, you may want to use something heavier like bull denim. At the end of the day, muslin mock ups can save a lot of time, money, and effort. If you’re super confident in your ability to perfect a garment on the first try, that’s great! If not you may want to try “making a muslin”. Check out our selection of muslin fabric.